How Much Will it Cost to Replace My Heating and Cooling System? | Jennings Heating & Cooling Co.
You’ve known for a while that your heating and cooling system is approaching the end of its expected lifetime, but the loud “woosh” you now hear when your furnace kicks on or the fact that your AC seems to constantly run (a costly problem) are telltale signs that can’t be ignored-it’s time to replace your system. The question is-how much will it cost? It’s important to ask this question well before an immediate need for a replacement so that, if necessary, you are able to budget in advance for this major appliance-especially since it’s one that you can’t afford to live without! The cost of a new system depends on the answer to this question; what home comfort needs or expectations do you want the new system to meet? 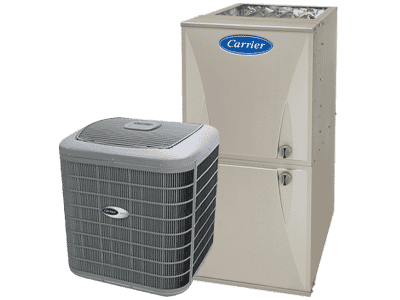 The investment needed to replace your HVAC system depends on whether you are simply looking to meet your home’s basic heating and cooling needs or if you are looking for the system to keep your family in absolute comfort. The newer systems of today have various features that can greatly improve your home comfort. Review the list of features below to consider which are a priority for your new heating and cooling system. Air moisture-there always seems to be too much of it or not enough. More modern and efficient HVAC systems have the ability to reduce humidity in the warmer months, while increasing the amount of moisture in the air during the cold, winter months. This feature creates the right conditions for optimal home comfort and offers the capability to set not only the desired temperature, but the humidity setting that is most comfortable for your family-no matter the time of year. Think of the climate control dial in your car; how often or how long do you run the A/C or heat in your car on MAX? Isn’t it time to have an HVAC system in your home that offers at least as much flexibility as your car-allowing you to decide whether to run the heating and cooling at low or high levels based on your needs? New blower motor technology delivers the air flow you actually need rather than being on full speed at all times, which results in a much quieter system as well as real energy savings. These blower motors enhance your comfort by reducing drafts and eliminate the constant roar of the furnace or having your AC always kick on at full blast. If you’ve had issues with areas in your house being too cold while others are too warm, you may want to look into installing a zone system, which will allow for independent temperature settings on upper and lower levels. This will mean that you can forego having to wear your sweater in the basement due to the chill on lower levels or avoid the need for fan to cool off due to the heat on upper levels. The ultimate in heating and cooling convenience and control is the web-based thermostat. You can have complete control of your home comfort system through an application on your mobile device, which communicates directly with your home’s system no matter where you are. This mobile application also allows you to receive alerts when your system needs service and even let’s you know when your filter needs changed; now, that’s a smart thermostat! These new technologies allow you, the homeowner, to be in control of your comfort while achieving substantial savings. To help assess the upgrades that will be of greatest value to your home comfort system, as well as determine the proper application of these new features for your unique needs, contact a Jennings Heating & Cooling Comfort Advisor today! Our Comfort Advisor will perform an analysis to determine what system will provide the best solution for your home. A several man crew can often install an entire system in one day; if the job does carry over to the next day, Jennings ensures that you are never left high and dry-we stay until the heat or air is on!